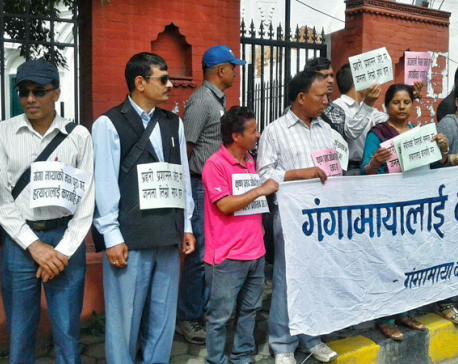 KATHMANDU, Nov 15: Alleging that a conspiracy is being hatched at the behest of the ruling party to grant a general amnesty to those involved in Maoist armed insurgency-era crimes against humanity, a section of civil society leaders has said that any such move could be a great betrayal of the insurgency victims and their decade-long struggle for transitional justice. The civil society leaders from the Accountability Watch Committee (AWC) have taken exception to the initiative being taken by a section of other civil society leaders to create an environment for perpetrator-centric justice. The latter are calling for a new mechanism comprising nominees of the ruling party. “This is a deceptive move at the behest of the erstwhile rebel party which is now at the helm of government. It is an attempt in collusion with a party to the conflict to eventually grant a general amnesty even to those involved in crimes against humanity,” alleges Advocate Om Prakash Aryal, a member of the AWC. The allegation comes in the wake of the Conflict Victims Common Platform (CVCP), an organization of conflict victims who suffered at the hands of both the state and the Maoist rebels, holding five regional gatherings to lobby for a separate political mechanism for transitional justice. It has the backing of a group of civil society leaders. 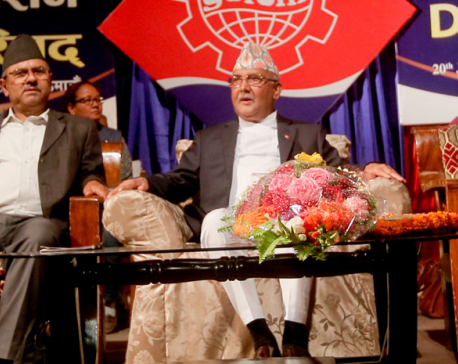 The CVCP with the support of civil society leaders including Sushil Pyakurel, Tika Dhakal and Geja Sharma Wagle plans to hold a national level convention of conflict victims to come up with a national declaration to press on with the long-delayed transitional justice process. The group has maintained that only such a mechanism could help accomplish the complicated task of delivering transitional justice and pointed out that a similar mechanism had facilitated the army integration process . While emphasizing reconciliation to resolve the complicated issue of transitional justice , the group in its consensus points for a victims' charter states that reconciliation did not mean discouraging the booking of criminals. Reconciliation should on the contrary help facilitate the implementation of the law. Advocate Aryal, however, argues that demanding a separate political mechanism is tantamount to derailing the ongoing transitional justice process and undermining the Truth and Reconciliation Commission and the Commission for the Investigation of Enforced Disappeared Persons (CIEDP). “There were some weaknesses in the TRC and CIEDP Acts. We had also protested, seeking independence for these transitional justice bodies. But demands to dissolve or render these bodies dysfunctional are nothing but a conspiracy to grant a general amnesty to all perpetrators of insurgency-era crimes and deny justice to their victims,” he further said. Prasain alleged that this was a carefully crafted plan to divide the conflict victims and the human rights community and thereby undermine the overall process of securing transitional justice for the victims of both sides during the decade-long Maoist armed insurgency.